During the holiday season, I love getting dolled up for all the parties with family & friends! In order to wear all those cute dresses for the season, however, I have to make sure my legs are in top shape! 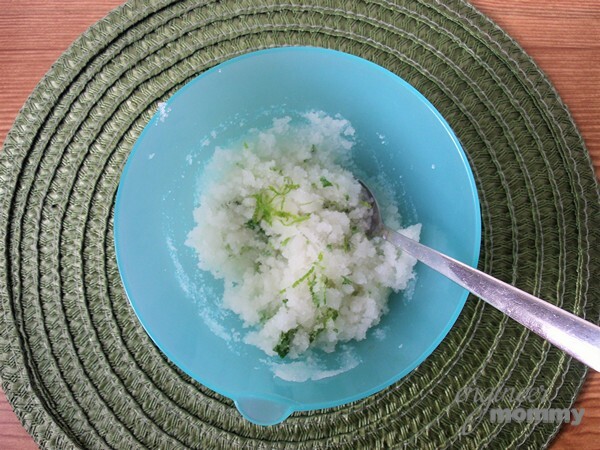 To get my legs looking their best, I use a great exfoliator and so today, I’m going to share with you all a DIY Lime Sugar Scrub that works really well! 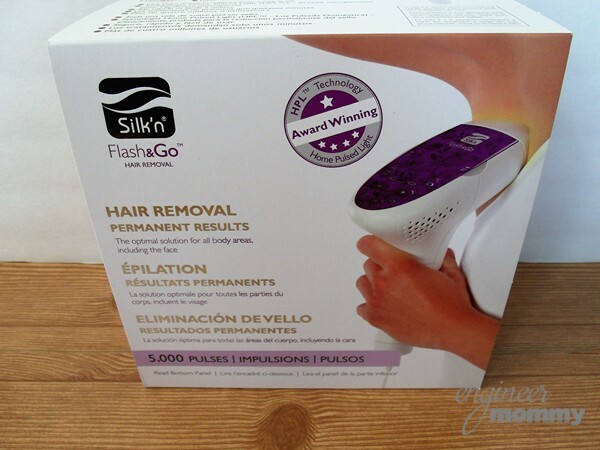 And since I really dislike shaving or waxing, I’m so excited to also share with you my experience using the fabulous Silk’n Flash&Go, which effectively and painlessly removes hair permanently! Between the exfoliator and the Flash&Go, my legs are ready for all those fun holiday dresses! Bring on the parties! By the way, there’s an amazing promotion going on right now! After you buy Flash&Go at the store or online at Bed Bath and Beyond or Kohl’s, visit keepongifting.com to upload a copy of your receipt. You will then receive a $25 gift card to the retailer of your choice and be entered to win a trip to Aruba! Isn’t that an amazing offer?! I plan on purchasing another Flash&Go to give as a gift to a friend! In fact, I’m so excited about Flash&Go, because I’ve always hated the expense and discomfort of other hair removal methods. Shaving every day is time-consuming! Waxing hurts and is expensive! And with two kids at home, I just don’t always have the time to go through these other hair removal methods! With Flash&Go, I can treat my skin from the comfort of home every 2 weeks and after just 3-4 treatments, hair growth will be noticeably reduced! Then, I can start treating monthly and eventually, hair will be permanently removed via the patented light technology! And I also love that Silk’n Flash&Go can actually be used for the whole body and face (from the cheekbone down). 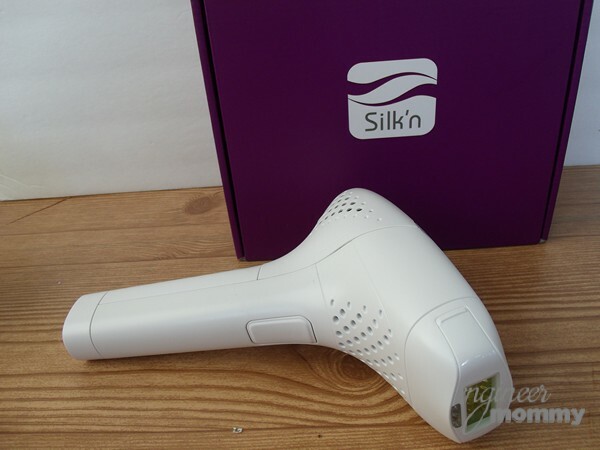 If you’re wondering what a treatment with Silk’n Flash&Go feels like, I can say that it does not hurt at all. I simply feel a slight sensation of heat when the pulse of light is applied to the skin. It works best for women with lighter skin with brown hair. I also love that the Flash&Go has warning lights on the control panel to let me know when I am nearing the 5000 pulse limit, so I know I need to buy a new cartridge! That’s definitely a convenient feature! Using Flash&Go is quite easy and straightforward. First, I start with clean, shaven skin! I start with lower energy levels and work my way up to higher energy levels, which is when the patented light technology is most effective at treating the hair! The Flash&Go is totally easy to use and very effective! I appreciate that it’s safe even on the most sensitive skin! 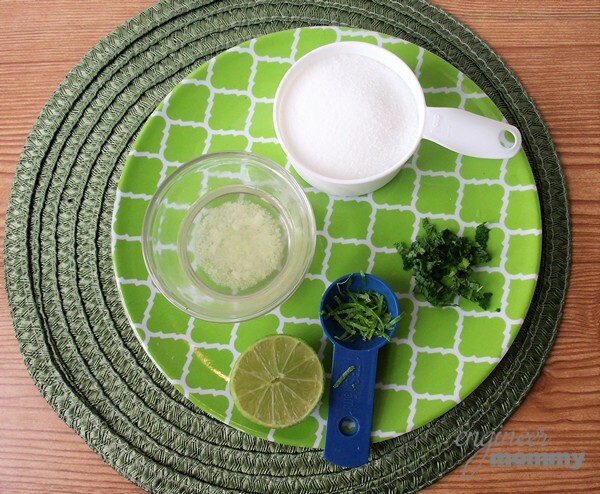 Now, let me share with you all the simple recipe I use to make my homemade Lime Sugar Scrub. 1. In a small mixing bowl, combine all the ingredients. 2. Pour it into a mason jar. 3. Seal the mason jar and hang a little chalkboard label using some baker’s twine. 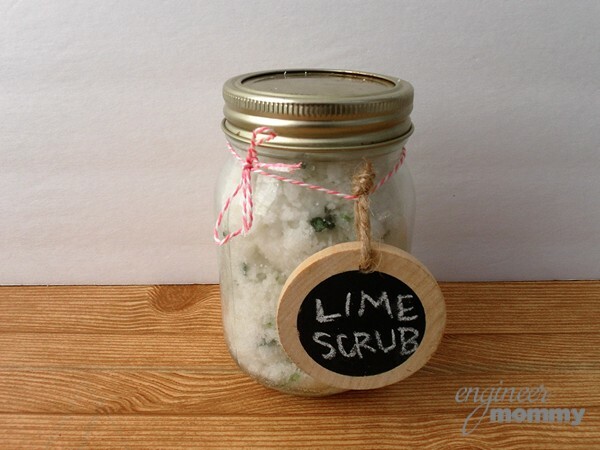 Write “Lime Scrub” on the label. 4. Add a decorative “gift” embellishment on the lid of the jar. 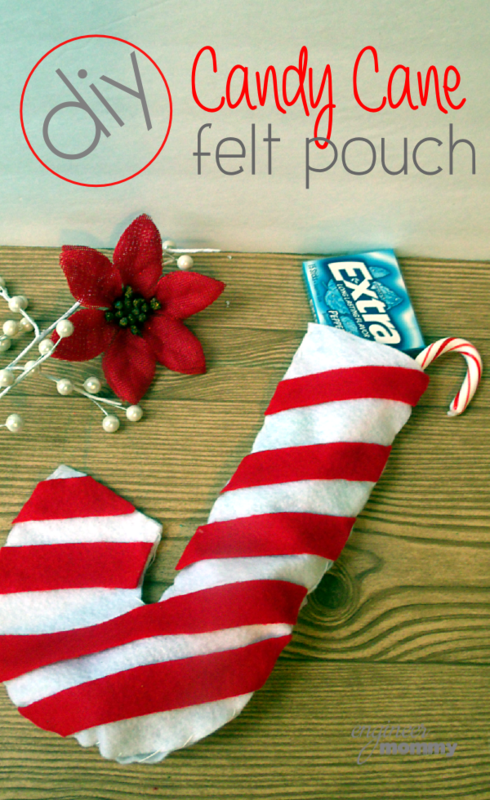 Doesn’t this make such a cute gift for someone during the holiday season?! I’ve had such a fabulous experience using the Flash&Go myself that I’d love to purchase another one to give to my best friend! Between the homemade scrub and the Flash&Go, this little gift is a wonderful way to encourage a friend to take some time & pamper herself this holiday season! When using Flash&Go, it’s best to start with clean, shaven skin. So I leave my Flash&Go right in the bathroom so I can do my treatments right after a shower. I space out my treatments about 2 weeks apart! Are you planning on attending any holiday parties this year? Amid all the hustle and bustle of the holiday season, make sure you take some time to pamper yourself. 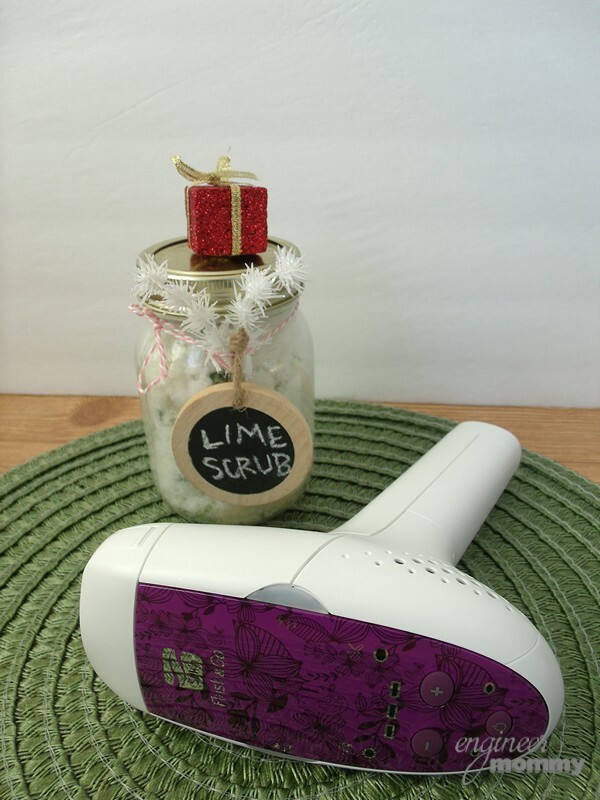 With the Flash&Go, you can give yourself the gift of smoother, softer skin! 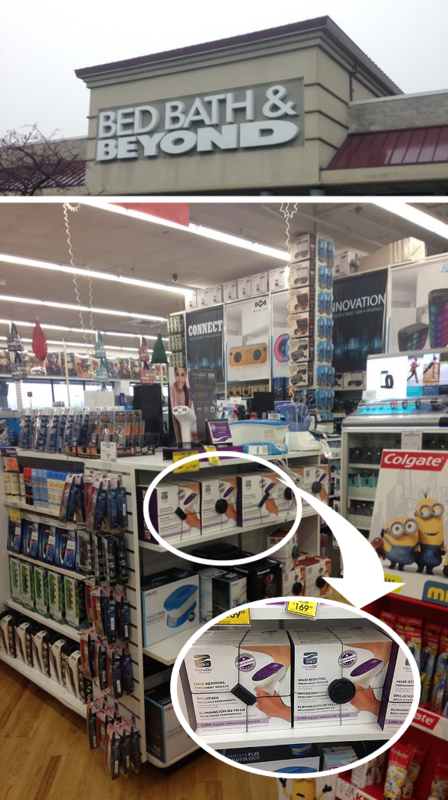 I found my Flash&Go at Bed Bath & Beyond in the personal care section! It was featured in a center aisle. 1. Buy Silk’n Flash&Go in-store at Bed Bath & Beyond or Kohl’s OR online at bedbathandbeyond.com or kohls.com! 3. Receive a $25 gift card to the retailer of your choice and be entered to win a trip for 2 to Aruba. During this holiday season, buy Silk’n Flash&Go at Bed Bath and Beyond or Kohl’s for softer, smoother skin! I hate shaving my legs, so I really need to try this! 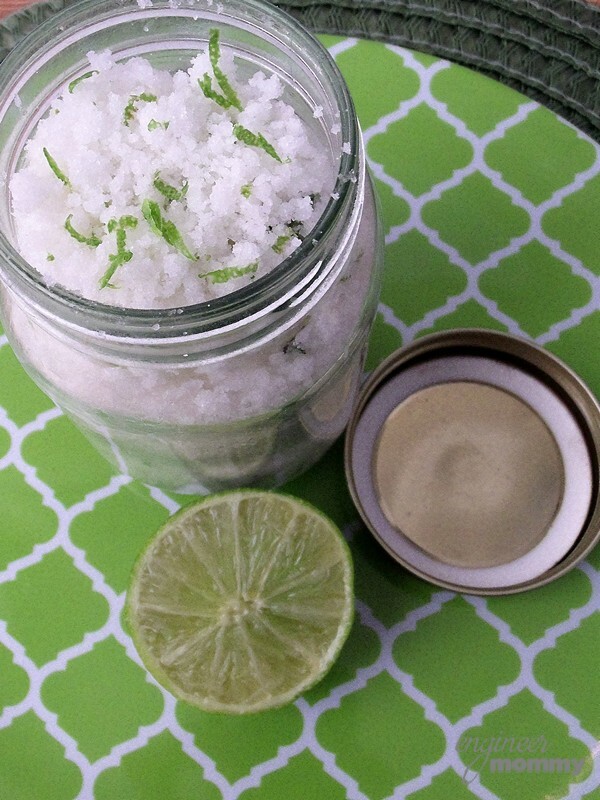 And that homemade lime scrub looks amazing. What a great gift idea, too. Thanks Alli! Yes the scrub smells amazing and feels great on the skin. 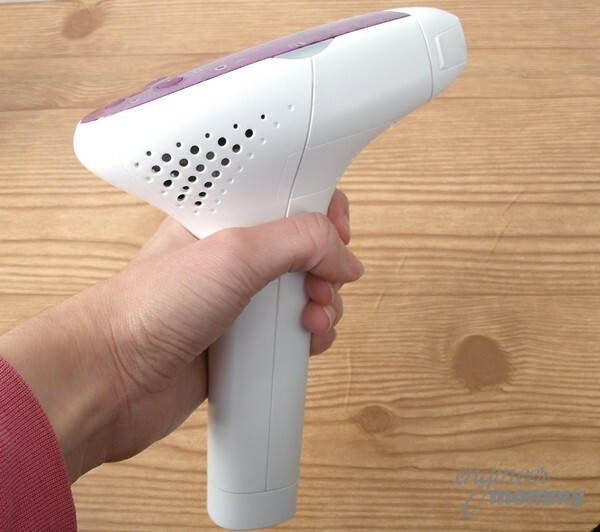 And the Flash&Go is such a convenient and effective way to handle hair removal! Looks like a great product. Thanks for the review. And that sugar scrub would make great ideas. Oh it smells absolutely divine! Thanks Sarah! I don’t use hair removal products but I would love to try that Lime Sugar Scrub. Body scrubs are one of my favorite beauty indulgences. I love the idea of pampering myself. I love sugar scrubs and this one sounds so good! That’s cool! I’d give it a try. Although I’m not too bothered by shaving, I’d love to make just one more thing a little simpler in my life. This is like having a spa at your own home. The hair removal device would be a less painful way of ridding body hairs. 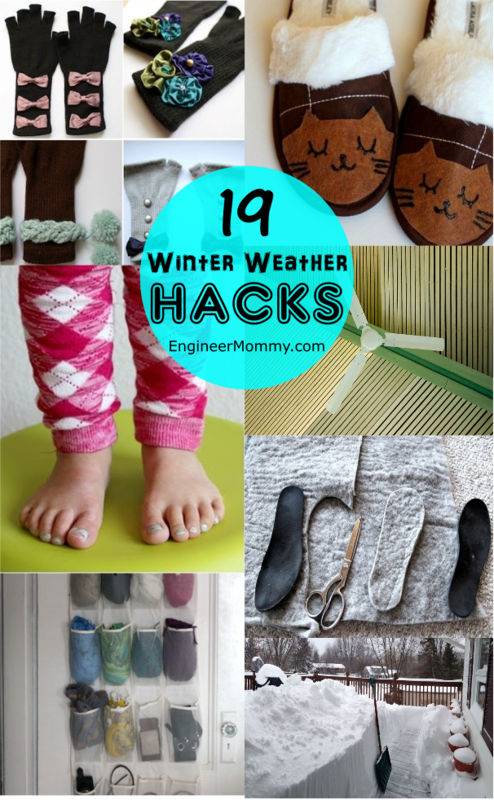 I have seen these and thought about trying it out! 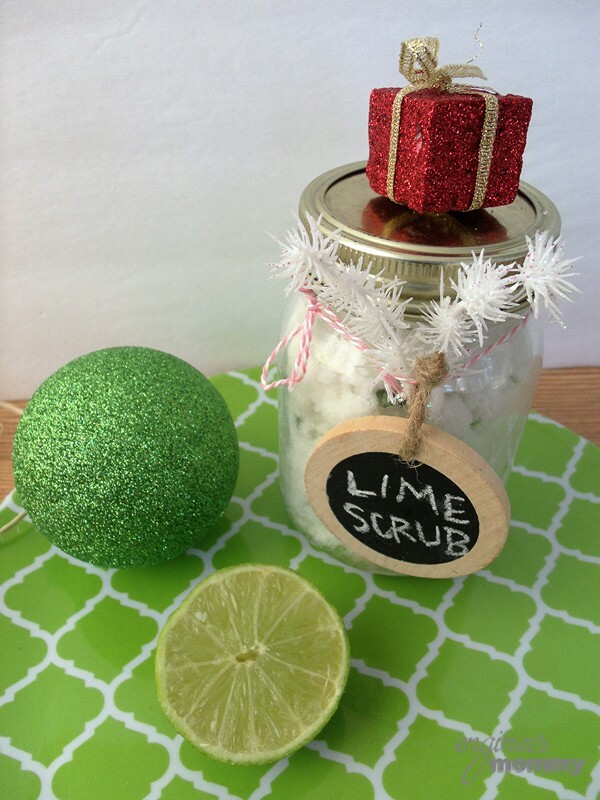 Your lime sugar scrub sounds amazing – love sugar scrubs in the shower! Oh wow, I haven’t seen this before. But, I’d seriously love to try it. I know my teenager would, too. The Flash & Go just climbed to the top of my wishlist for Christmas! lol I really would love to try this! It is absolutely amazing! Hope you get one! I have heard so many good things about the Flash & Go! As I don’t like shaving much, this would be a super great alternative. Have to add it to my wishlist. It really is important to take care of oneself during the holidays. I can’t wait to try out that lime sugar scrub myself! That’s so neat! I would love to get that hair removal machine for myself. Loving the lemon scrub too! I’d love to use one of these. Lime is my faaaavorite scent. Wow that’s really interesting. I’ve never tried anything like it. I’m like everyone else and hate shaving so much. 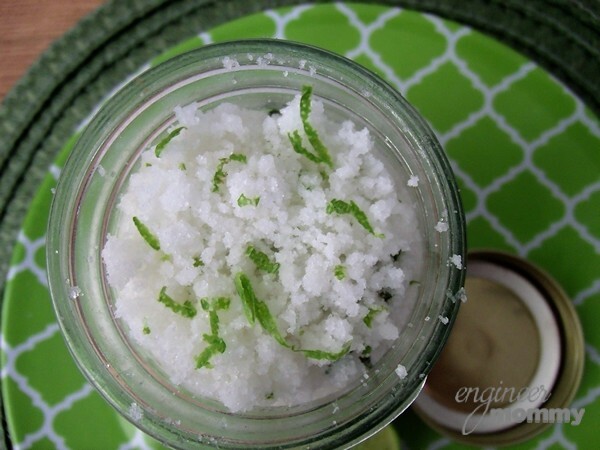 I love the recipe for the lime sugar scrub. Lime is a favorite so I’ll for sure be trying this!